Total Baseball offers an incredible opportunity for any baseball athlete wishing to make a commitment toward improving his/her skills. Total Baseball is unique in our ability to offer programs year round at any of 6 different locations. Our instructors and staff take every step possible to provide a setting where baseball is enjoyed and skills are improved. Total Baseball has first class facilities, equipment and technology with a qualified and dedicated staff. 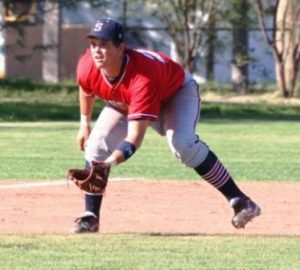 Our professional staff can help young athletes just beginning to play baseball, as well as the aspiring high school athlete looking to improve and develop their skills for the next level. With year-round classes, camps, training and private lessons, Total Baseball provides a tremendous asset to many programs and individuals looking for a competitive advantage. Program Specific Information? If you have questions about any program, please call Total Baseball at (248) 668-0166. Facility Rentals? If you are interested in renting space at one of the Total Sports Facilities for Indoor/Outdoor Baseball Training, please contact Celina Gutierrez. Tournaments? If you have questions about Tournaments, please contact Jeremy Gooding. Total Baseball Travel Program? If you have questions about the Total Baseball Travel Program, please contact Greg Haeger. Baseball Lessons are for athletes seeking personalized training for the specific skills they want to develop and enhance. Lessons can be tailored for all facets of baseball. 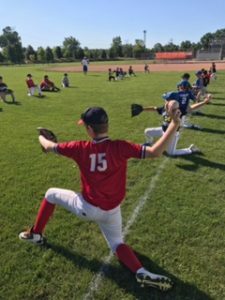 Total Baseball’s Staff of Professional Instructors teach fundamentals all the way through professional level skills during Baseball Lessons. 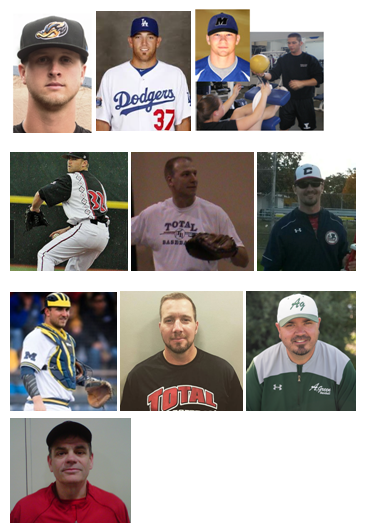 Our instructors are all current or former Professional, Collegiate & High School, or Travel Baseball Coaches and Players. Most have played professionally in the United States or overseas. More importantly, they all share in the belief that an exceptional work ethic and positive attitude, coupled with the highest level of professional instruction facilitate self confidence in each player’s on-field and off-field abilities. All players will receive regimented, step by step instruction to improve their skill sets whether they are new to the game or have been playing for years. To schedule Baseball Lessons or for more information, call Total Baseball at (248) 668-0166. Click here for a printable version of our Lesson Flyer with Instructor Information. Are There Refunds Or Credits For Lessons? Total Baseball has a NO REFUND policy for Lessons. A credit may be issued for future lessons, camps, classes or leagues. No Show or Cancelled Lesson Policy? There is a 24 hour notice rule for any cancellation of lessons. Total Baseball reserves the right to charge for NO SHOWS or lessons cancelled prior to 24 hour notice. Please call if you cannot make a scheduled lesson. How Do Lesson Packages Work? Lessons that are purchased through a Lesson Package do not all have to be scheduled at the time of purchase. Lessons can be scheduled as needed per customer’s requests. Packages expire 1 year after purchase date. What Are Team Lesson Rates? Please call Total Baseball to discuss Team Training Sessions: (248) 668-0166. Can Lessons Be Discounted? Single Lessons cannot be discounted. The Lesson Package already includes a discounted rate. Lesson Packages must be paid for in full to receive the discounted rate. 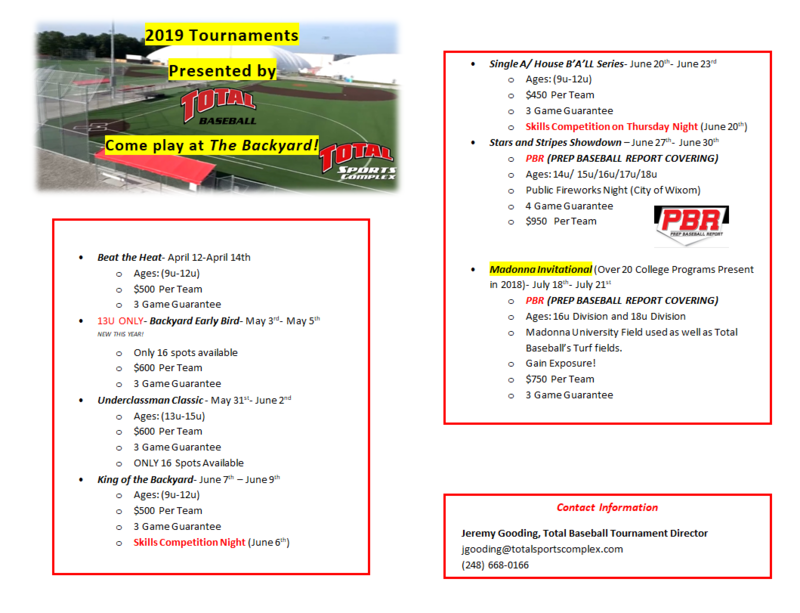 Total Baseball’s Tournament Schedule for Spring/Summer 2019 now available. What Should I Wear To Camp? Total Baseball suggests players wear athletic apparel or what they would wear to baseball or softball practice. Make sure players wear sneakers or turf shoes instead of cleats for indoor camps. Players can bring cleats for outdoor camps. What Equipment Do I Need To Bring? All players must have their own glove (mitt). Total Baseball encourages players to bring whatever other personal equipment they have i.e. bat, helmet, etc. TB has bats and helmets that can be used during camp if needed. Gloves (mitts) , bats and other baseball equipment can be purchased through Total Sports Shop. Should I Bring Water? Players are encouraged to bring their own water jug/bottle for camp. Is Lunch Available During Camps? Camps that are longer than 3 hours have lunch time. Players can bring their own lunch or purchase one from the Total Sports Cafe for a small daily fee. Is After-Care Available? 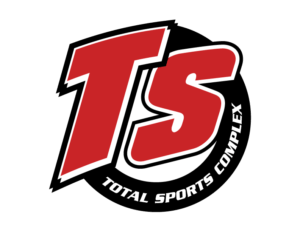 Total Sports does not provide After-Care services for any camp. Parents can register their players for additional programs within Total Sports-Wixom to accommodate needs. i.e. Baseball Lessons. 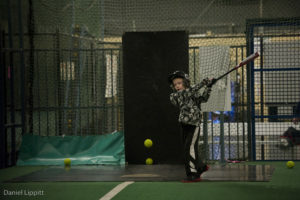 Automated Batting Cages are available at Total Baseball – Total Sports Complex Wixom. Machines have both Baseball and Softball settings with different speeds and adjustable heights. *Batting cage hours may vary due to activities in the facility. Please call Total Sports Wixom (248)-669-9817 before coming out to ensure availability of Batting Cages. Do I Need To Reserve A Batting Cage? Batting Cages are available on a First Come First Serve basis. There are 2 Batting Cages that have both Baseball & Softball settings. Do I Need To Bring My Own Bat & Helmet? 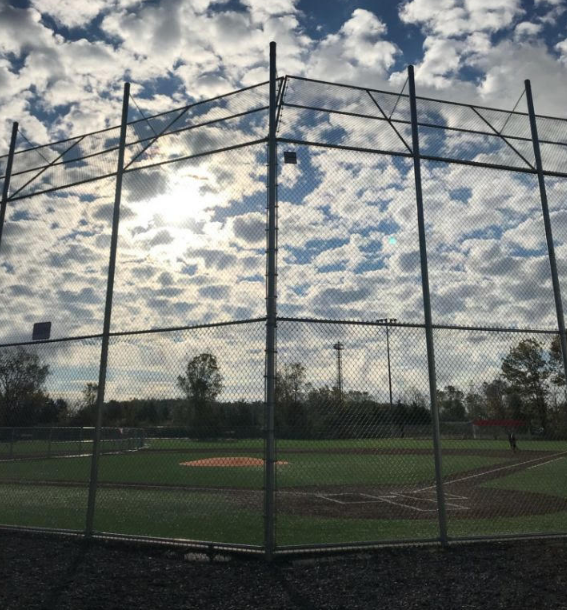 There are bats and helmets available in the Batting Cage Area for public use; however, Total Baseball recommends that you bring your own equipment if you have it. How Do I Pay For Tokens? A Token Machine is available that accepts $5, $10 and $20 bills. Tokens can also be purchased with a credit card, check or cash in the Total Baseball Office. Are There Automated Batting Cages At Any Other Total Sports Facility? Total Sports Complex in Wixom is currently the only Total Sports Facility with Automated Batting Cages. Total Baseball has 9 Tunnels that can be used for Lessons and Training. All Tunnels are fully turfed with an L-Screen . Most Tunnels are 12’Hx12’Wx70’L. Some are 12’Hx12’Wx40’L. Tunnel availability depends on Lessons, Classes and Rentals. Renters must bring their own equipment i.e. balls, tees, bats, etc. Call (248) 668-0166 to check availability and to schedule rentals. *Add $20 for use of Total Baseball’s pitching machine and baseballs. Total Baseball has multiple fields and tunnels available for rent at many of our Facilities. 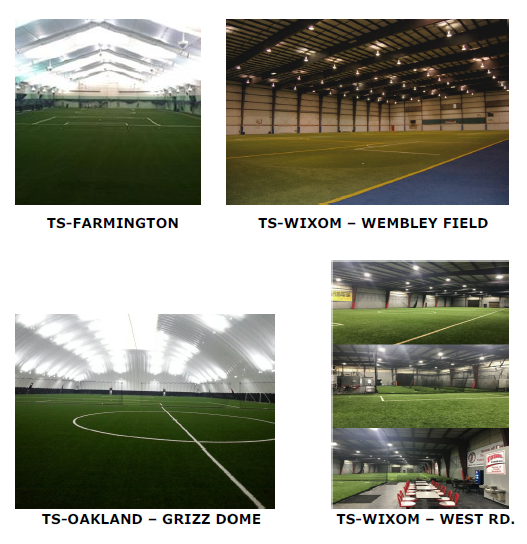 To inquire about availability and rates, contact Celina Gutierrez at celina@totalsportscomplex.com or (248) 668-0166. The Backyard Rentals: Outdoor fully turfed diamonds with lights. Now reserving dates for the spring/summer season! 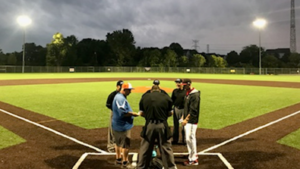 – play on quality fields at Total Sports Complex – Wixom (new turf fields and other centrally located ball diamonds if needed. We accept individual players and team registrations. Total Baseball will have a Fall and Winter Session of the 6 Man League (October-November and January-February). Teams of 6-7 players will play fast paced games. Instructors or pitchers will pitch 3 balls to the batter. If the batter is unable to hit any of the pitches, he will get 2 chances to hit off the tee. Once the ball is put in play, fielders will have to make plays to get the outs. Players will have opportunities to try different positions each inning. There will be a Major and Minor League. 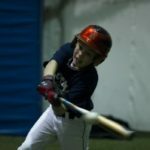 HIT TRAX LEAGUE – November/December 2019 and January/February 2020: This league is designed for hitters. Live cage/tunnel games using the Hit Trax System. Team registrations available for teams of 4 or more players. 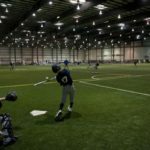 WINTER INDOOR BASEBALL LEAGUE – January 5-March 1, 2020: Teams and Individuals playing in the Total Baseball Winter Indoor League wi ll play 8 games within the Total Sports Complex in Wixom. Teams will have the opportunity to prepare for the upcoming season. Individuals who register for the Total Baseball House Team will receive playing time and be able to try new positions. 9/10u and 11/12u Divisions offered. Balls included in fee. *The next Session of Baseball Classes will begin in September, 2019. LITTLE HITTERS: This introductory baseball class is great for children who want to learn the FUNdamentals of baseball. Drills include: tee-hitting, catching and throwing mechanics. *This class has a limited roster size, so sign up early! LITTLE SLUGGERS: This baseball class builds on the fundamentals of baseball and is great for children who want to develop into a better player. 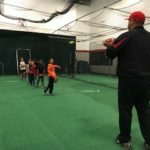 Experienced instructors work with players on learning the proper techniques of baseball throwing, hitting, fielding and more. *This class has a limited roster size, so sign up early! VELOCITY IMPROVEMENT PROGRAM (V.I.P. ): Total Baseball has teamed up with our professional Total Performance Staff for the fall and winter of 2018-19 VIP program. This program is designed to cover the building, strengthening, and overall arm and body care of the youth and high school baseball player. There will be specific work out plans for youth and high school players. SWINGING WITH ATHLETIC TRAINING (S.W.A.T. ): This intense hitting class is designed to get players power in their baseball swing with more reps and drills. This detail oriented class will go over proper swing path, extending through the ball, use of the back side and developing more power. CATCHERS CLUB: This baseball class focuses on all aspects of catching. Players do drills in catching mechanics, calling the game, blocking, pop-time and more. FUNDAMENTALS OF FIELDING: This class is a fundamental defensive training system designed for every level players. The goal is to master the fundamentals and skills at certain levels and move to the next level. Players will learn and improve setup, footwork, arm motion, glove work, transition, arm strength, overall techniques and baseball IQ. 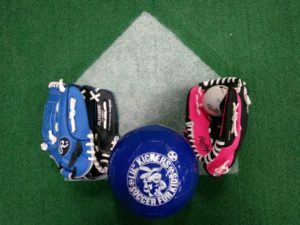 FUNDAMENTALS OF PITCHING: This fundamental pitching class introduces th e most basic pitching concepts. Players learn how to pitch effectively by learning smooth delivery, working out of the stretch, holding runners and more! ELITE VELO WITH CHARLIE HAEGER: Come learn from Tampa Bay Rays Pitching Coordinator, Charlie Haeger. 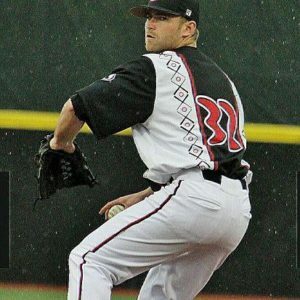 This class will cover pitching mechanics and be fueled by an agressive throwing regimen. Class will use a modified Driveline program along with professional drills and critiques. Training combined with Total Performance. ELITE HITTING & STRENGTH – NEW CLASS! : Join Coach Greg Haeger in this small group, high intensity, high reps hitting development program combined with Baseball specific lifting from Total Performance. CLASS CLOSED FOR FEBRUARY. HIGH SCHOOL OPEN HITTING: Get ready for tryouts with our new high reps class offered by Coach Greg Haeger. HitTrax used to evaluate exit velocity, hard hit percentage and more…CLASS CLOSED FOR FEBRUARY. 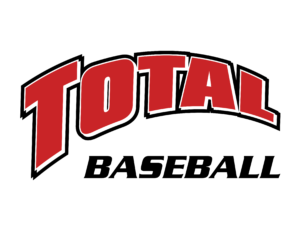 T-BALL INSTRUCTIONAL CLASS – Total Baseball will have the indoor T-Ball Instructional Class on Sundays for 4 sessions: September-October, October-November, January-February, and March-April. Players will participate in games where they learn to hit the ball, how to run the bases and where to throw the ball. Players will learn sportsmanship and how to be a team player. Teams will consist of 3-5 players. Games will be scoreless. Every player will bat each inning. Total Baseball staff will direct games and provide instruction. What Should I Wear To Class? Total Baseball suggests players wear athletic apparel or what they would wear to baseball or softball practice. Make sure players wear sneakers or turf shoes instead of cleats. What Equipment Do I Need To Bring? All players must have their own glove (mitt). Total Baseball encourages players to bring whatever other personal equipment they have i.e. bat, helmet, etc. TB has bats and helmets that can be used during class if needed. Gloves (mitts) , bats and other baseball equipment can be purchased through Total Sports Shop. Can Fees Be Prorated? Class fees can be prorated as long as there are enough players to run a full class – at least 4 players/class.